What a gorgeous family!! I love that girls have fur vests too!!! Enjoy your time off and have a Merry Christmas! How precious are you guys!?! 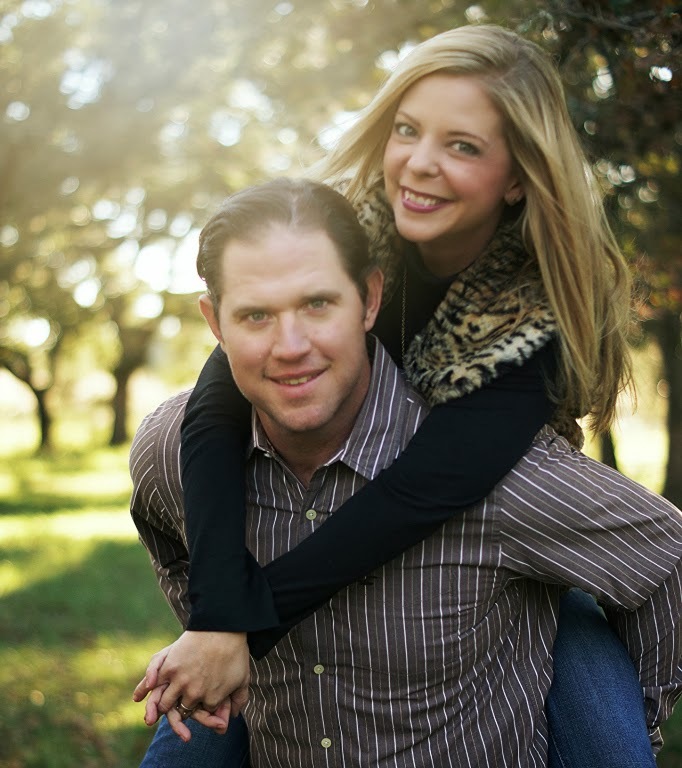 Love your Christmas card and photo session - gorgeous family! 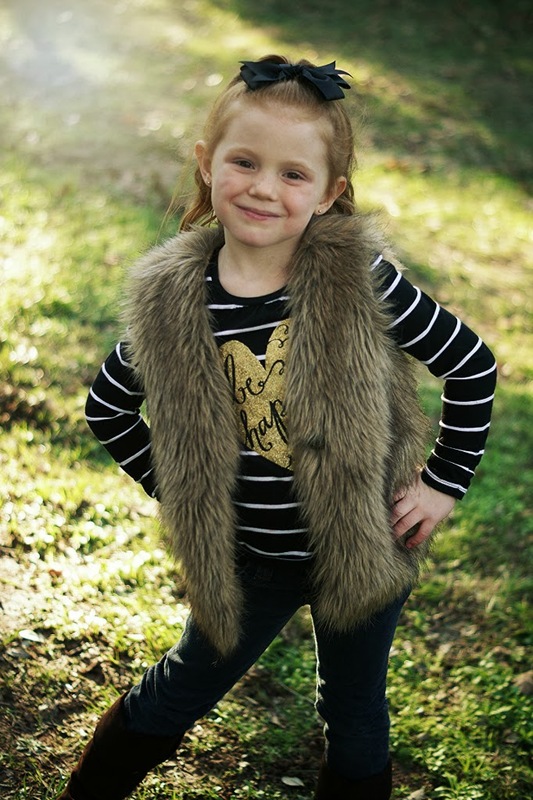 I love that your girls are dressing like your little minis - too cute! This is awesome Shanna! 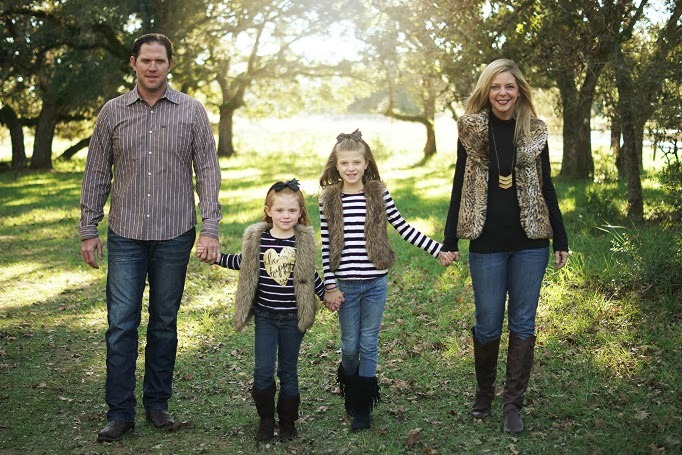 I adore how you and your girls are all wearing fur vests! adorable. Happy Holidays! love love loveeee your holiday card (and all these fabulous pictures) you guys are seriously the cutest! Obviously your girls have their mama's fashion sense. Happy Holidays to you and yours love! Great card! I'm taking the week of too! Such a good feeling!! Have a wonderful Christmas!!! You've got such a beautiful family! Enjoy your week! These photos are so so precious!! I hope you and your family have the best Christmas!! Awe, what beautiful pictures! The lighting is just gorgeous and you all look so deliciously happy. Merry Christmas, friend! 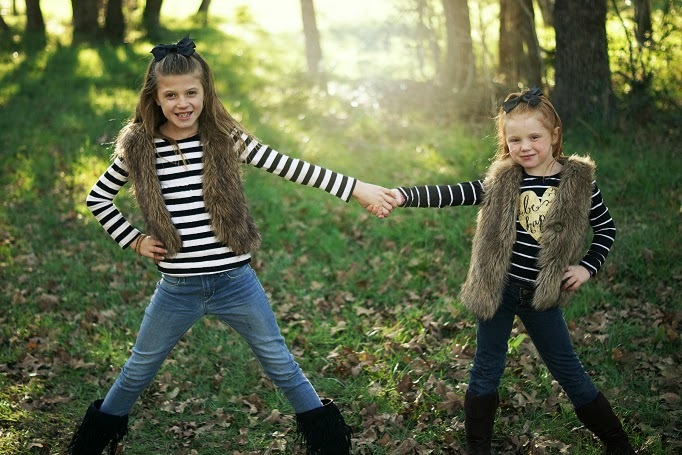 These photos came out so cute...I love how you matched the girls in your faux fur vests! Merry Christmas, Shanna! these are gorgeous!!! i love the matching fur vests. you truly have a beautiful family- both inside and out! LOVE! Your girls are SO adorable! Sparkle Monkey is definitely rockin' it! And I think her diva ways are rubbing off on Logan! Have a merry Christmas, love!! Xo! This is adorable and your family is gorgeous. And I love that all you ladies have a furry vest. I want a furry vest. If I get one, can I be part of the family!? What great family photos! Merry Christmas Shanna! SUCH a beautiful family! LOVE your coordinated outfits. MERRY merry Christmas to you & yours. AWWWW! Just adorable one and all. These photos are amazing! I can't wait to have a family of my own someday and do this :) Happy Holidays! I'm loving these fun pictures and your fur vests!! Merry Christmas!! Your photos came out so great! You are such an adorable family!! These photos are perfect! Merry Christmas, to you and your family, Shanna!! I love this! 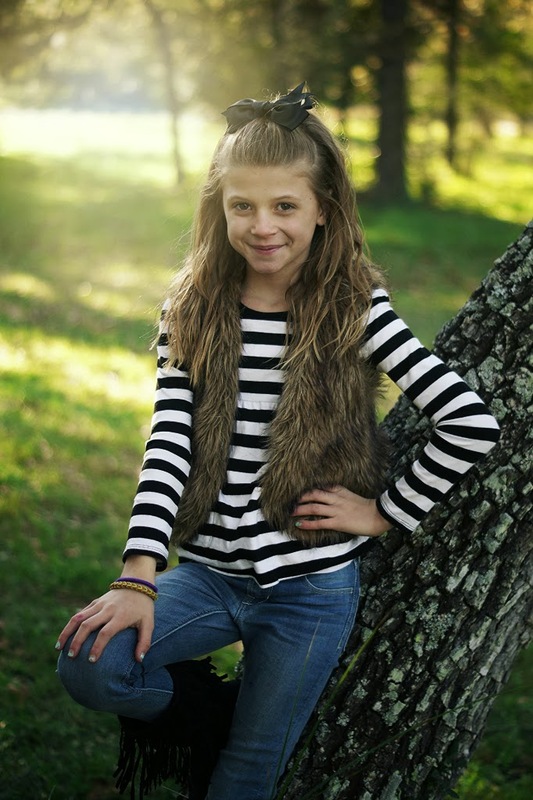 Your family is so beautiful, and sassy :) Merry Christmas! Thanks for the Christmas card! Hope you have a fantastic holiday with your adorable family!! Y'all are so precious! Love the vests!!! Aww...such a beautiful family! Merry Christmas!! Beautiful family GREAT card!! Merry Christmas! Beautiful card from a beautiful family! May you and yours have a wonderful holiday filled with love and laughter. A very natural and unique holiday greeting, the girls look so happy and natural. Love the setting for this. Wishing you and your family the very best of the season Merry Christmas. Aww what beautiful pictures. I love the kids are matching up with mommy. 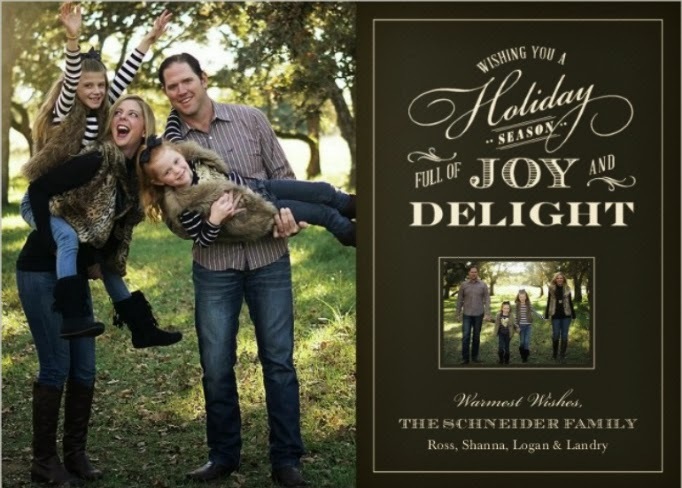 Happy Holidays to you and your family Shanna! I love the matching but different outfits!